I’m VERY excited to share with you, horror lovers, the trailer for our upcoming feature length documentary, “California Paranormal”! This documentary shares true stories & evidence of paranormal activity, unidentified flying objects and unexplainable phenomenon across the great state of California! “California Paranormal” was produced by James Cullen Bressack, LAHorror.com & Safety Meeting Productions. The film will be released through Reality Entertainment soon. Keep your eyes here for details! Be sure to follow LAHorror.com, James Cullen Bressack & Safety Meeting Productions on Twitter. I’m extremely excited to share the trailer for “Lilith,” a new horror anthology from director Alex T. Hwang. This film features five terrifying tales, all involving different forms of the demon Lilith. The first trailer recently dropped, and it looks gory as hell! I’m very excited to have had a role acting in this film, along with some incredibly talented horror actors. Watch the trailer and read the press release below! Filmmaker Alex T. Hwang has dropped the first trailer for “Lilith”, a terrifying Horror Anthology in five segments. While each segment is a stand-alone story, they all feature various forms of Lilith, a demon of the night who “embodies the emotional and spiritual aspects of darkness such as terror and sensuality.” Exorcism, forbidden love, soul collecting, infidelity, and serial killers are just several of the themes that ignite Lilith’s wrath in these horrifying tales. Unlike many other horror anthologies, Hwang directs each segment to create a unified, precise vision that will even shock seasoned horror fans. The stories were written by Richard J. Aguirre, Paul McFall, Anthony Werley, and Hwang. The film was produced by Kathleen W. Hwang, Thomas Haley, and Anthony Werley. Vernon Wells (Death House), Felissa Rose (Sleepaway Camp), and Devanny Pinn (Crossbreed) lead the cast which also features many of the indie horror scenes rising talents, including Jennifer Nangle (Malvolia: The Queen of Screams), Michael Wainwright (Altar), Charles Chudabala (Escape from Ensenada), Hunter Johnson (2 Jennifer), Lara Jean Mummert (Anomaly), Brialynn Massie (Serena Waits), Noel Jason Scott (Hellevator), Colton Wheeler (Ugly Sweater Party), Thomas Haley (Thirteen) and Mark Schaeffer (Prey, In Cold Blood). The film will be completed this spring and will be seeking worldwide distribution. Be sure to “like” Lilith on Facebook! Malvolia, the Queen of Screams Presents: The 12 Dark Days of Xmas! Happy Horror Holidays! Over the past two weeks, horror hostess Malvolia (created by & starring the incredible Jennifer Nangle), has been dropping gruesome holiday cheer to bring some nastiness to your Christmas season! There’s no turtledoves or golden rings in these days of Xmas, but you may just find some murder, ghosts and lots of Christmas fear! This special run of 12 episodes features is a showcase of Malvolia’s favorite horror short films from Christopher Ambriz, Chris Frint, Monte Light, Ryan Shovey, Justin Lee & Matt Thiesen. We also are treated to original horror content from Malvolia herself, in the form of several delightful and demented original short films, all with a holiday twist, of course. Keep your eyes peeled for special guest appearances from Garrett Lee, Charles Chudabala, Gregory Blair, Marv Blauvelt, Mark Schaeffer & more! Catch up with Malvolia here, and get ready for a whole lot more in 2018! We hope your year was full of fear! Be sure to follow Malvolia on Twitter & “like” Malvolia on Facebook! Malvolia: The Queen of Screams! HALLOWEEN SPECIAL! For those of you who haven’t been properly introduced to Malvolia: The Queen of Screams, now is the perfect time to get acquainted! Malvolia is the brain child of horror actress Jennifer Nangle, and her web series gets crazier by the episode! 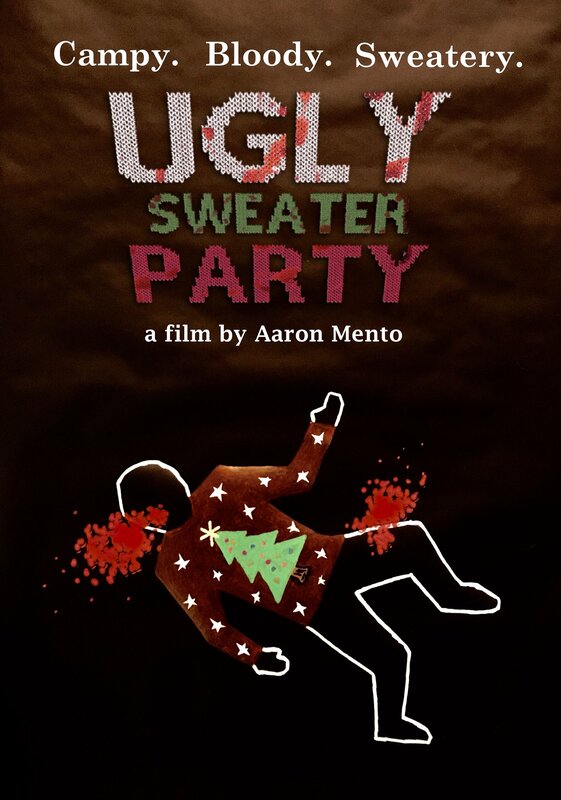 Produced by Queen Scream, LAHorror.com & Safety Meeting Productions. Enjoy, and have a Happy Halloween! Be sure to subscribe to Malvolia: The Queen of Screams on Youtube, and catch up on all of the episodes right here on LAHorror.com! You can also follow Malvolia & LAHorror.com & on Twitter! We are VERY excited to announce that #FromJennifer, a new horror comedy from Frank Merle, has now dropped to your favorite digital provider! This is a wicked and smart flick that I’m extremely proud to be a part of. #FromJennifer is the third film in James Cullen Bressack’s found footage franchise, and follows themes of obsession, murder and modern technology making it happen. 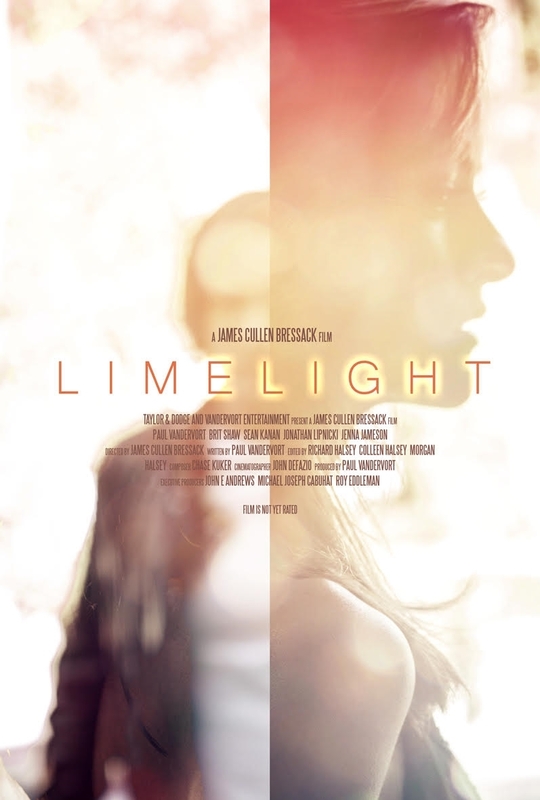 Featuring riveting performances from Derek Mears, Tony Todd, Meghan Deanna Smith and Danielle Taddei as Jennifer. And after you watch it, be sure to shout me on Twitter using #FromJennifer! Need more Jennifer?? Be sure to check out “To Jennifer” & “2 JENNIFER“! Slasher Studios & LAHorror.com Colab “Irrational Fear” Drops Trailer, Post Production Fundraiser! About a year ago, Slasher Studios and I began planning a horror film entitled “IRRATIONAL FEAR.” After months of writing, a successful fundraising campaign supported by our amazing fans, and finally filming, we are extremely excited to release the first teaser trailer for our upcoming horror collaboration! Here’s the first official teaser trailer for IRRATIONAL FEAR! The film centers around six therapy patients are brought together at a secluded cabin to confront their strangest fears. Little do they know, these fears will certainly be the death for some of them. Who will make it out alive?? 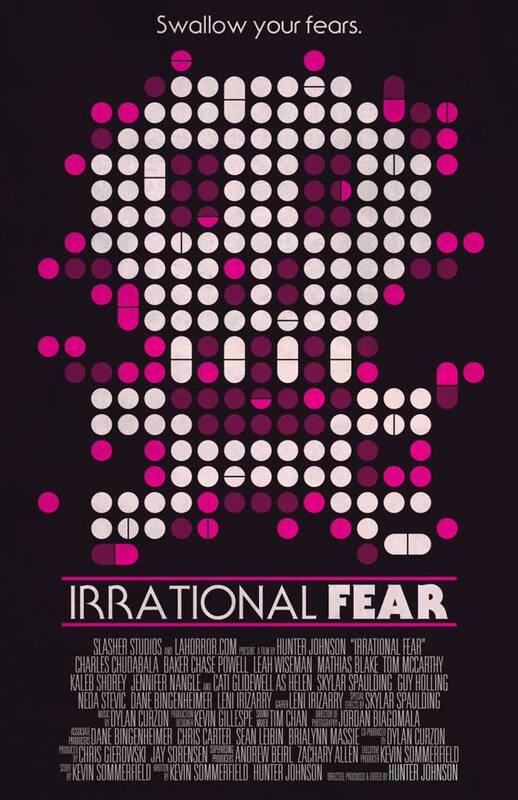 “IRRATIONAL FEAR” has a killer ensemble cast, including Charles Chudabala, Baker Chase Powell, Leah Wiseman, Mathias Blake, Tom McCarthy, Kaleb Shorey, Jennifer Nangle and Cati Glidewell. The film was shot on location in the north woods of Wisconsin. While we couldn’t have made this film without the support of indie horror lovers worldwide, we are extending the opportunity to be involved with the film! Claim a reward now or preorder the film here! Making indie films is expensive, and while we are very close to finishing our film, we still have costs coming up including finalizing post production, festival entries and physical media distribution. We are aiming to get this film to as wide of an audience as possible, and every bit of support helps! Thanks so much for checking out the trailer and our campaign. Be sure to “like” “IRRATIONAL FEAR” on Facebook, and follow us on Twitter for the latest updates. BE THERE and witness the insanity first!